As a class we have been looking at plastic pollution and the effects it has on sea life and oceans across the world. We have also been looking at an artist named Leo Sewell who creates art models out of recycled materials. We looked further at how we could use recycled items to create our own junk models, we identified how this is a way of re-using plastic to keep it out of the sea. In maths, we have been looking at the place value of numbers up to 4 digits. We have completed individual challenges and whole class challenges. During one of our whole class challenges we generated a 4 digit number and placed ourselves in the correct place value column. During the spring term our book focus in English is Secrets of a Sun King by Emma Carroll. We are really enjoying the epic journey through ancient Egypt the book is taking us on. We are improving our reading skills each lesson! We will focus on descriptive writing, narrative writing and letter writing. We have also really enjoyed making our predictions about the book. In year 4 we love science! We really enjoy carrying out experiments (no matter how gross). Our book focus last term was 'The Twits' by Roald Dahl. We focused on the characters in the book and wrote character descriptions about them. In year 4 we have been taking part in weekly rugby activities. We also got to visit the Totally Wicked Stadium and participated in lots of fun activities here too! We also got a tour of the grounds- including trying on some of the players shirts! During the spring term we are learning all about the ancient Egyptians. We will be focusing on geographical elements of ancient Egypt such as the importance of the River Nile and the pyramids. We will also be looking at all the historical elements of the topic such as mummification and the ancient Egyptians beliefs and rituals. We will also be creating some great art work, such as creating our very own canopic jars using clay. We used ancient Egypt as our assembly focus this term. 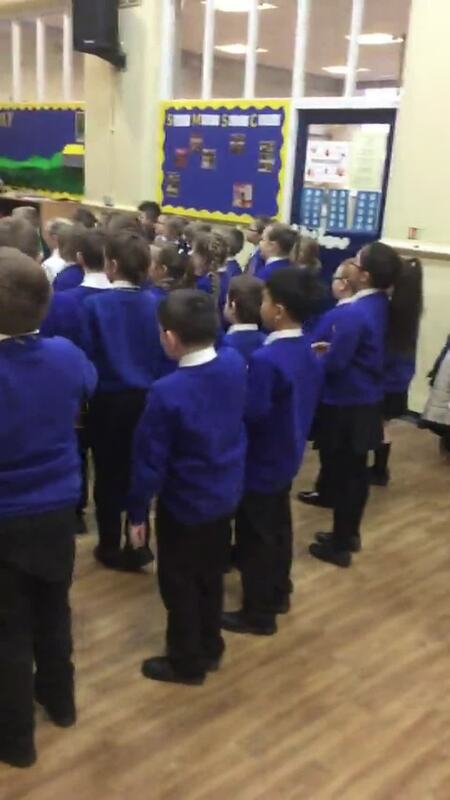 We had so much fun performing all we learnt to the school and parents! In year 4 we are very lucky that we are able to participate in sign language workshops, carried out by the amazing Deaf Active Company. We are learning to sign songs, so far we have learnt Rude and Shut up and Dance! We are having so much fun!